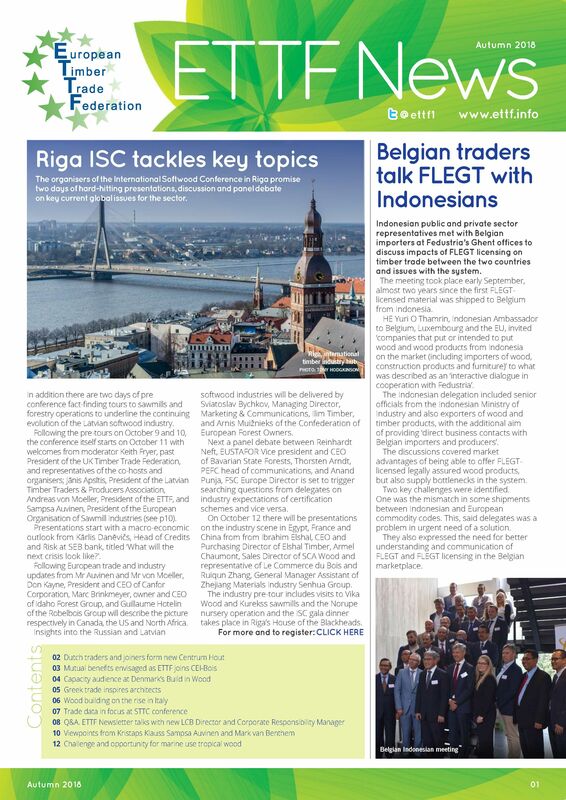 The European Timber Trade Federation (ETTF) has released its Autumn 2018 Newsletter. 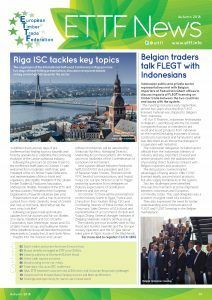 This edition contains previews of the International Softwood Conference in Riga, and also of the Sustainable Tropical Timber Coalition annual conference in Paris and the EU FLEGT IMM Trade Consultation in Berlin. It also has reports on the formation of a new cross-industry hub for timber communication and market development in the Netherlands, the decision of the ETTF to become a member of CEI-Bois and the latest initiative of the HTCA in Greece to grow architectural interest in timber-based construction and design. Viewpoint articles are from Sampsa Auvinen, Kristaps Klauss and Mark van Benthem and the edition additionally includes an interview with Le Commerce du Bois’s new director Arnaud Hétroit and its new Corporate Social Responsibility Manager Nicolas Pillet. There is also room for the Brexit debate with an article on the VAT concession achieved by the Timber Trade Federation.